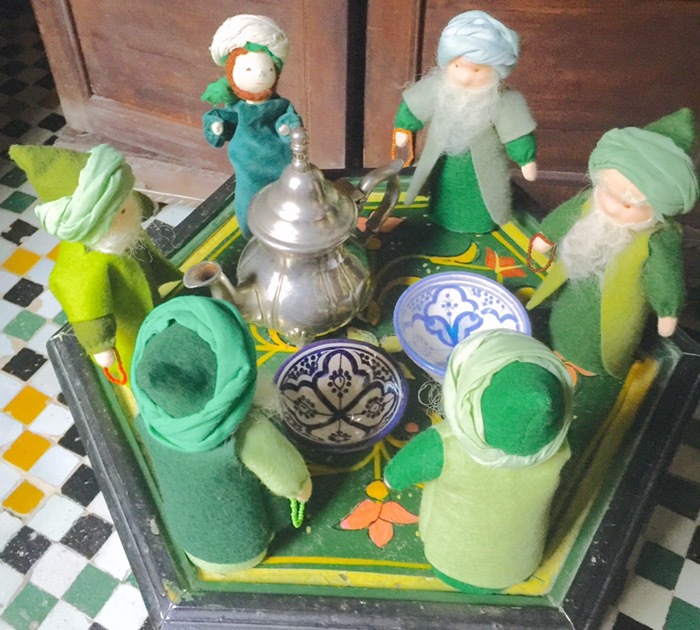 I have now recieved the Dervish Dolls that I commissioned from WaldorfMagicGlade on Etsy. I am very pleased with the quality and attention to detail. Time will tell how well they wear with play but they feel very sturdy. They stand up on their own and the arms articulate. The seller has wonderful attention to detail and even included the prayer beads after doing her own research. I am impressed to say the least. I think these would make excellent gifts for Eid or any other Muslim holiday but please remember that the seller is in the Ukraine so you will need to order ahead of time to allow for shipping. Please share your ideas for using creative play to teach children about Islam.